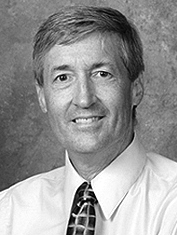 Dr. Goodwin received his Ph.D. in Health Education from The Pennsylvania State University in 1993. Some of his experience in working with individuals with disabilities includes teaching at the Vanguard School for students with learning disabilities and emotional problems, and teaching Adapted Physical Education at the University of Delaware for approximately 10 years. During that time he conducted adapted physical education workshops at the Eastern District Association (EDA) for the American Alliance for Health, Physical Education, and Dance (AAHPERD) at the National AAHPERD Convention, the Pennsylvania AAHPERD Convention, and the Delaware AAHPERD Convention. He has also presented on “Adapting Adventure Activities for Participants with Disabilities” at the AAHPERD in New Orleans, LA. and “Vision Impaired Activities” EDA, Burlington, VT.